Don't get too excited, I didn't read that much this summer. This summer was filled with events, and other important things, so I kind of skipped out on reading. But what I've read is so far pretty good. I only read 4 or 5 books. I usually can read 3 to 4 books a month, but for some reason this summer blew past me. Crazy Rich Asians - This book is lavish with the lifestyles of rich Asians. I've never read a book like this before, but this book has everything in it for asians who like to live their life to the extreme (I'm thinking of writing a separate review for this book). Kevin Kwan wraps you up in Nicolas Young and Rachel Chu's story, as well as several other characters. 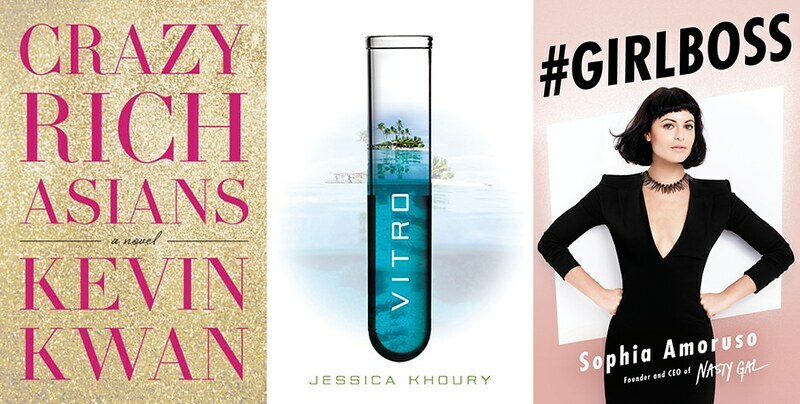 Vitro - I loved Origins, so when I found out that Jessica Khoury was writing another book, with the same background concept as her first book I had to get it. I was a little late to the game! Seeing as how it came out earlier this year. I had the ebook, but nothing, and I mean NOTHING beats having the book in your hands, and actually being able to flip through the pages. This is the continued story of Corpus and how they are doing some terrible things to people, and Sophie the main character discovers some tragic truths about her life. #Girlboss - I want to thank Jessica from FrikkenDuckie for sending me this book! Hey Girl! Haha, anyway, I love books that inspire us to be better people, and this book definitely is one of those books, that inspires us to do bigger, and better things! So I have yet to finish all of the books that I mentioned during the spring time. I haven't finished reading John Green's An Abundance of Katherines, and I have yet to start up on The Storied Life of A.J. Fikry. But I did finish reading Black Out. That book was a very quick read. I think I finished it up within a week. 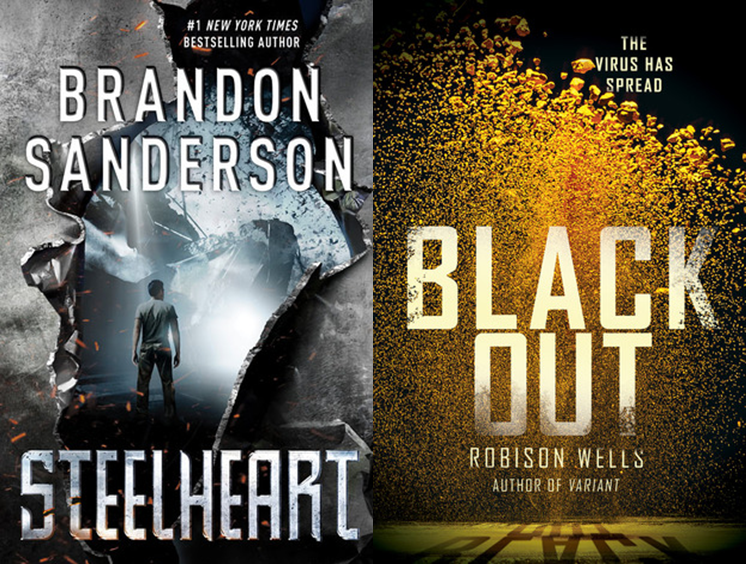 Steelheart was a little harder to swallow for my own tastes. I will continue to read Brandon Sanderson's Steelheart series, but as for how long this book took me to read, I would give it around 4 weeks. Maybe some my blog readers will be faster than me, but I just can't take huge doses of this book. What recommendations of books do you have? I love book recommendations, even though I never get to read I always make a list for some day! I have GirlBoss on my kindle I can't wait to crack it open. I'm gonna check out some of these others too, thank you! Lol. You're so very welcome! I'm thinking about reading it over again for inspiration and motivation. lol I've been curious about Crazy Rich Asians. Unfortunately I am nowhere near one. booourns. I'm interested in hearing your thoughts about it! I have good things about both of the first two books and I want to read both! I am reading "A Constellation of Vital Phenomena."